Partner of the firm Bloom & Kinnear and associated with the practice for over 10 years. Specializing in workers' compensation matters from the time of the accident through all necessary trials and appeals. Mr. Kinnear has extensive workers' compensation litigation experience, including performing thousands of settlement conferences, depositions, and doctor's meetings to make injured workers' cases all they should be. 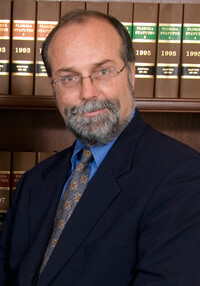 He also has an extensive appeals and legal analysis background, with previous working associations with a federal appeals court, a state appeals court, and a state trial court. With thorough knowledge of all stages of the workers' compensation process, he intends to maximize your recovery as soon as possible.